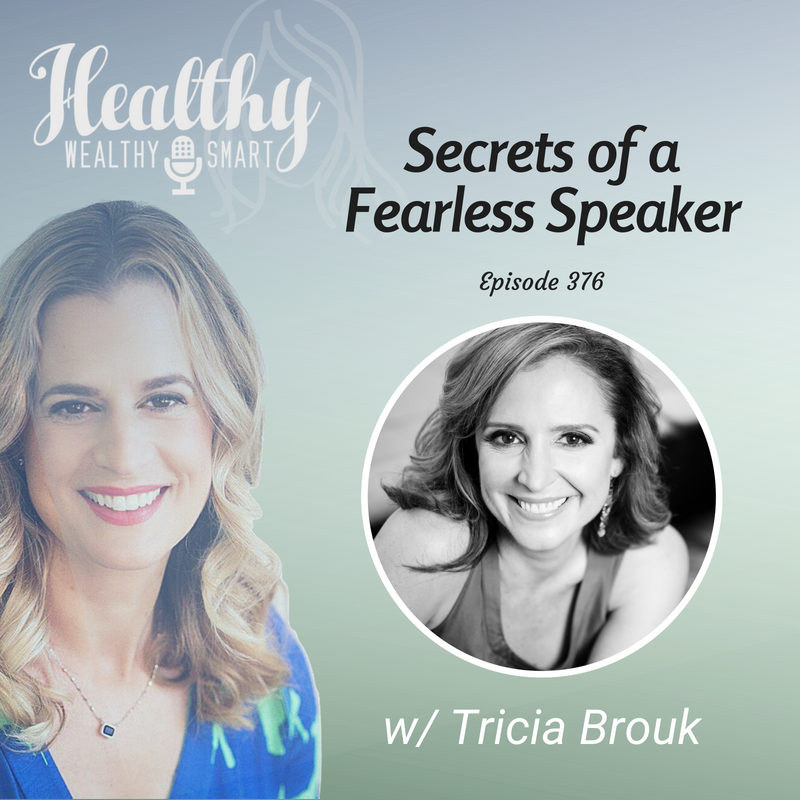 On this episode of the Healthy Wealthy and Smart Podcast, I welcome Tricia Brouk back on to the show to share tools to be a fearless speaker. Tricia Brouk’s passion for storytelling has shaped her work in film, television, and theater for over twenty-five years. Tricia is committed to producing and directing stories that entertain, uplift, and foster an exchange of ideas. As the Executive Producer of TEDxLincolnSquare, she curates the top speakers in the country, and her production company, The Big Talk Productions, shoots documentary shorts on the thought leaders making an impact on our world. Tricia Brouk is an award winning director. She is also writes and choreographs for theater, film and television. In addition to her work in the entertainment industry, she applies her expertise to the art of public speaking. She’s the executive producer of TEDxLincolnSquare and has choreographed Black Box on ABC, The Affair on Showtime, Rescue Me on Fox, and John Turturro’s Romance and Cigarettes, where she was awarded a Golden Thumb Award from Roger Ebert. And the series she directed, Sublets, won Best Comedy at the Vancouver Web-Festival. She’s written two musicals, a play, a sitcom pilot, and a feature film. The documentary short she directed and produced This Dinner is Full was official selection at The New York Women in Film and Television Short Festival, as well as the New York City Independent Film Festival. She also hosts the Speaker Salon in NYC and The Big Talk a podcast on iTunes.